With no shortage of sunlight, surf, and sandy beaches, it's no surprise that 1,000 new people move to Florida every day. 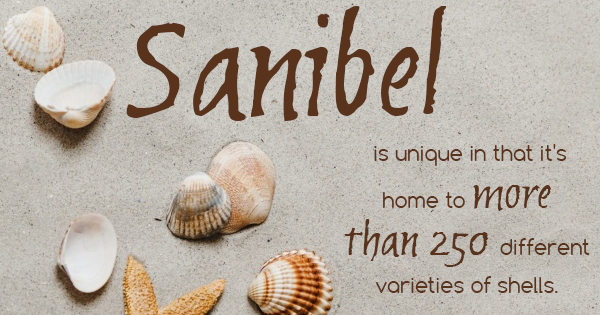 Many of those who have booked our Sanibel Island rental condos in the past know that Sanibel Island beaches are unparalleled for their superior shelling opportunities. And now, Coastal Living has made it official: their readers have named Sanibel Island as the world's best beach for shelling! Sanibel is unique in that it's home to more than 250 different varieties of shells, making it particularly attractive to avid shell hunters. We even have an entire museum dedicated to our shells, along with a yearly shell fair and show. Whether you like to pick up unique specimens on your morning beach walks or you're seeking a specific type, it's likely you'll bring home something beautiful here. Be prepared: For best results, you'll want to use a bucket or net bag and scoop. You'll also want to wear shoes while shelling to protect your feet and expose shells that may be hiding under the sand. Look at low tide: The best time for shelling is at low tide, particularly during the spring and after storms. That's when it's easiest to spot shells. Although it's possible to go shelling at any time of day, you'll likely have the best luck during these times! Leave the live shells behind: Florida has very strict laws pertaining to the collection of living specimens. It's important to inspect shells and other beach treasures carefully before bringing them home with you! Any shell or exoskeleton that contains an inhabitant, whether or not you think it's alive, is protected by law. That means that any shells, sand dollars, starfish, and sea urchins you find need to be thoroughly examined. Even if you don't find anyone inside, be careful about bringing too many shells home with you. Of course, there's much more to see and do when you stay at our vacation rentals. You can swim, fish, and explore the island in dozens of different ways. And with all of our fantastic restaurants, you'll have a memorable meal every night of your stay. If you're just looking for some rest and relaxation on your vacation, you'll be sure to get plenty of that, too. Interested in finding out more about staying at our rental condos this summer? Be sure to contact Sanibel Arms today!